This year, the Lord has been renewing this insight by leading my prayer in an unexpected, yet beautiful way. Since Advent began on December 2nd, the Lord has really been preparing my heart for this great feast of joy. I find myself praying over Exodus 14:13-14 which says: "But Moses answered the people, 'Do not fear! Stand your ground and see the victory the Lord will win for you today. For these Egyptians whom you see today you will never see again. The Lord will fight for you; you have only to keep still.'" Powerful words indeed, but what do they have to do with Christmas? I thought the same thing, but the Lord has been reminding me through these words why Christmas is so joyful; because the Lord fights for us! 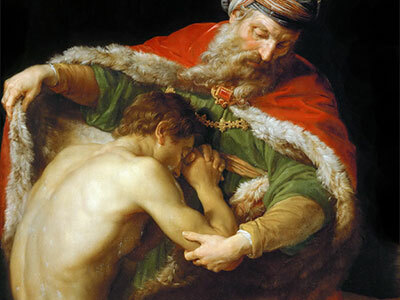 Christ's birth marks a defining moment in God's plan for human salvation. God enters into the fallen human condition, through the Incarnation of Christ His Son, so that He [Christ] can redeem it. Yes, the Cross is the site of this great victory, but Christmas reminds us that we are not alone. Like the Israelites who, in the above verses, find them- selves with the Red Sea at their back and the Egyptians charging towards them, we have to turn and face our sinfulness . We have to confront the Egypt in our life, whatever, or whoever, that might be. But we do not fight alone. The Lord will bring about a great victory. That great victory culminates as Christ is born - the Emmanuel who reminds us that "God is with us." That's what the Lord has been leading me to pray over: that He fights for me and for you. This is why we celebrate and are filled with joy. This is a joy that only comes from Christ! Thus, we cannot, and should not, be afraid of our sins. Rather, we need to confront them, to take them head-on and bring them to Christ. Only then will we find the healing our hearts desire. One image that the Lord uses to teach me how to confront sin is the image of a trip to the beach. Growing up in northern California (I grew up in San Jose until I was 13, then we moved to Arizona), the beach holds a special place in my heart. So naturally, I was pretty excited when the Lord gave me this image in prayer. Think about what it's like when you first arrive at the beach: the waves are high, you sprint out into the water, and it's a blast! However, eventually, the tide goes out, the waves are farther away, and you have to make a choice: Do you run out to meet the waves, go back, or wait? Running after the waves means that you have to face the debris and other junk that sometimes sits on the beach - which you had not seen when the tide was high. Walking over these obstacles can be a frustrating and painful process, but when you get to the waves, the joy returns. When the tide comes back, now you are much deeper in the waves, and the water, once again, does most of the work. Now, what does this all have to with God? Well, what the Lord taught me was that He is the water. When we initially encounter Him, things are great. But then, He might withdraw Himself from us to see if we will pursue Him. If we do, He bolsters us up and draws us even deeper into His Love. God always uses familiar things to teach me about Himself and His Love for me. So this Christmas, as God reveals Himself through the infant Jesus Christ (God made flesh), we can see in the tender embrace of Mary holding Christ, how God desires to hold each of us close to His heart. Every individual person has immeasurable worth in the eyes of God, and that is why He enters history - to remind us that He is here. 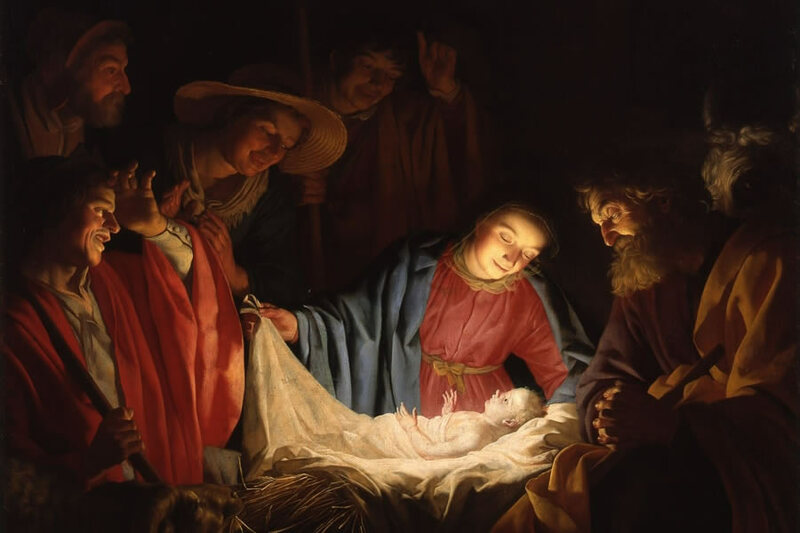 On Christmas, the Church gives us a number of Gospel readings to choose from. One option is from the Gospel according to Matthew, which contains the genealogy of Jesus Christ. Many of the names on this list are figures from the Old Testament that we may not have ever heard of, but they all have two powerful things in common. First, they were sinners - all of them. They sinned grievously against the Lord, and sometimes their sins affected not only them, but entire nations. Yet, and this leads to the second point, they were also chosen instru- ments of God. God used them, just as He continues to use you and me, to accomplish His divine plan of salvation. God uses sinful, broken instruments to fulfill His plan because He sees within each of us one fundamental truth: we are all beloved sons or daughters of our Father . Hence, He fights for us always because He loves us too much to simply leave us in our sin. He calls us into relationship with Himself, but even more than that, He shows us how to live with Him forever. This is the mission of Christ, to reveal to us the Father's plan and show us how we can defeat sin. As we celebrate with joy that Christ is with us in our own battle against sin, we should take time to ask ourselves who or what is the Egypt in my life? What is it that keeps me from fully trusting in God and seeing Him present to me each day? Once we reflect on these questions, and start to see God's deliverance, we can rejoice! I am moved by the words Moses speaks when he tells Israel to turn and face their enemy. This is a temptation that I still struggle with from time to time, to turn and run from my sins rather than confront them with the help of the Lord. Yet, only when I have confronted these temptations have I seen the Lord's guiding hand. During these times, embarrassed and even ashamed of my sins, is when the Lord speaks most powerfully. Often, His words are simple and humble, but they speak to the heart. The Lord's way is the quiet way. More often than not, He does not use powerful gestures, signs, or flashy gimmicks to get our attention. Rather, it is in the stillness of the heart where He speaks to us. Like all those who come to the manger to adore our Lord, we must first humble ourselves, bow our heads and adore the Lord in prayer and gratitude. Prayer, even a couple minutes each day is enough to keep the reality of Christmas (God with us) alive. Therefore, my exhortation to anyone reading this is to make a resolution to spend time in prayer . Let yourself see the victory God will win for you today by turning your heart, mind, and soul over to Christ. May He abide with you on Earth so that He may lift you up for eternity with Him. Christ becomes man in order that we might become like Him. May Christ's birth in our world give you the strength to turn and confront the Egypt in your life so that Christ may set you free and win for you a great victory! I pray that this time is blessed for you and your families. I pray also for those who will be traveling, that the Lord will guide you safely to your destination.